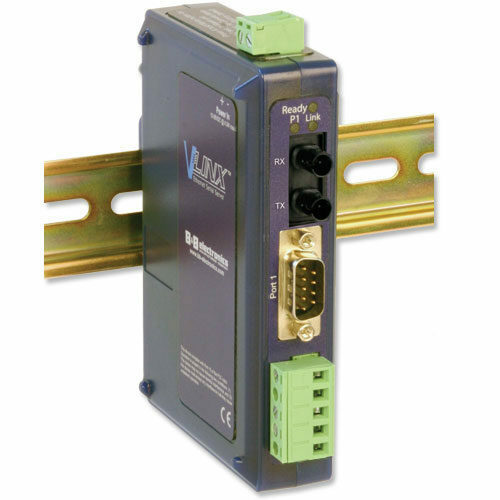 This Ethernet Serial Server was designed especially for Industrial applications. Features like a thin-profile DIN mount case, IP30 rating, wide temperature range and wide range redundant power supply inputs make this product the best fit for industrial users. 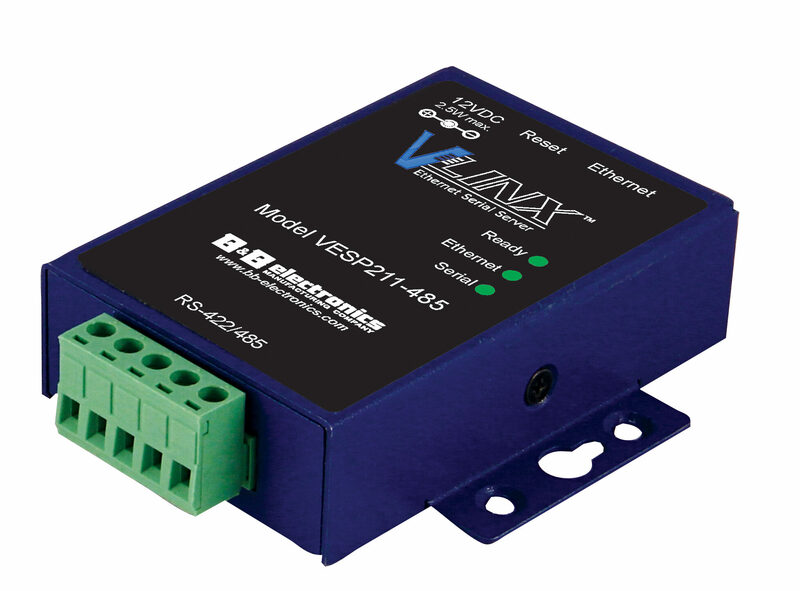 Use the ESR to convert Ethernet to RS232 or convert Ethernet to RS485 to connect PLC’s, CNC machines, HMI panels or any other industrial equipment that has an RS232, RS422 or RS485 serial port to the LAN. 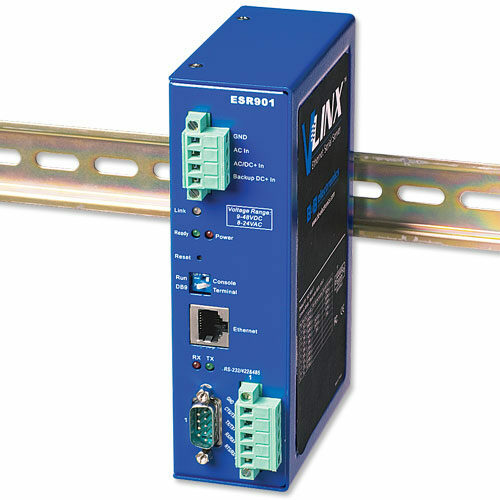 By installing the ESR Ethernet Serial Server you’ll be able to communicate with that equipment from anywhere on the LAN or WAN, eliminating trips out to the plant for programming, diagnostics or data gathering. 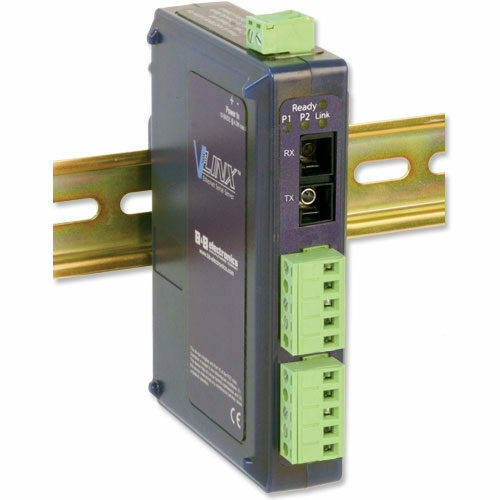 No software changes required, the ESR can be transparent to your existing software making installation quick and easy. Your office or control room PC will show the device as if it had a direct serial communications connection to monitor and fine tune it. You can even troubleshoot the distant device from outside your LAN via the Internet. Vlinx Manager software allows easy access to the serial server to configure the server and its ports, upgrade server firmware and monitor port status and activity. When the Vlinx Manager opens it will search for and display all serial servers on the network. The Monitor Port feature allows you to use any PC on the LAN/WAN to actively view and troubleshoot the communications status. It shows when there is a client connection to the server and the client IP address. It displays the number of bytes transmitted and received as well as the status of the hardware handshaking lines. 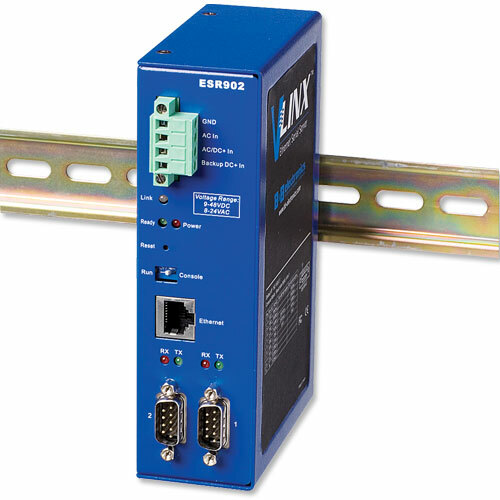 ESR serial servers can be accessed and configured from an Internet Explorer web browser on the LAN/WAN. This allows you to remotely manage the software and your serial device. It also allows off-site troubleshooting. When there is an interruption in communication the Serial Server will attempt to reconnect the TCP data connection every five seconds until communication is re-established. Without this feature a device that loses a connection and stops communicating would not be able to reconnect without a person attending to the problem. The Heartbeat feature works with virtual COM and paired mode.